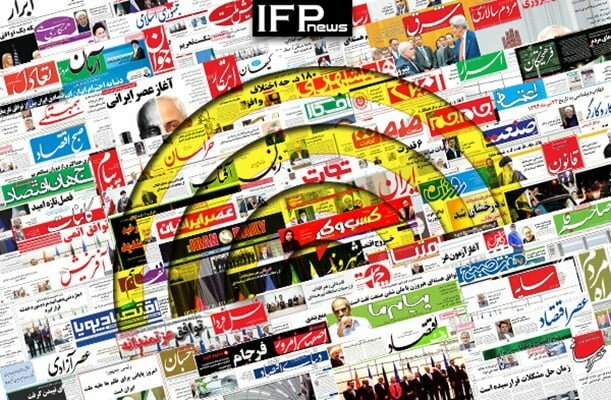 IFP has taken a look at the front pages of Iranian newspapers on Tuesday, February 12, 2019, and picked headlines from 15 of them. IFP has simply translated the headlines and does not vouch for their accuracy. The top story in all papers today was the massive turnout of Iranian people in the rallies held across the country to mark the 40th anniversary of the victory of Iran’s 1979 Revolution, which toppled the US-backed monarchy. Several papers also covered the remarks made by Ayatollah Seyyed Ali Khamenei, the Leader of Iran’s Islamic Revolution, about the untrustworthiness of Europeans. The awards ceremony of the 37th Fajr Film Festival, where the film “The Night Moon Was Full” won the majority of top prizes, also received great coverage. 1- Last Breaths of ISIS in Hajin? Iranian Diplomat: US President Has Expressed Preparedness to Visit Iran! THIS IS YOUR IMAIL info@iranfrontpage.com ?